Designed in the style of an English Manor House by J. G. Collins, construction of the Sign of the Takahe was carried out between 1918 and 1948. 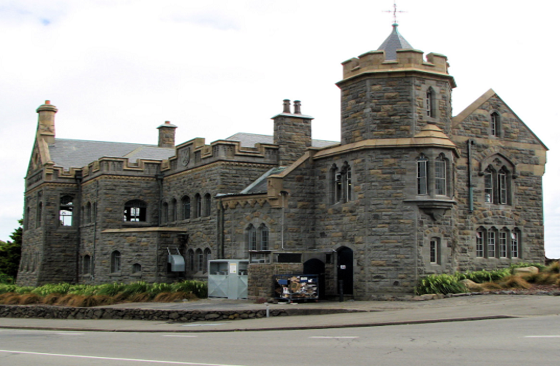 It is a City Plan Group One building and an Historic Places Trust Category One building, making it a building of national significance. The facility at 200 Hackthorne Road, which was a restaurant and function centre before its closure after the February 2011 earthquake, will be repaired and strengthened to 67 per cent of New Building Standard. BBR Contech were contracted to Sim’o’n Construction to strengthen the unreinforced turret. BBR Contech installed and post tensioned eight Reidbar tendons vertically through each corner of the hexangular turret. Firstly, holes were cored through the existing stonework and concrete. Pockets were then broken out at the base of the tower, and bearing plates were installed top and bottom. The bar was then post tensioned to 100kN from the top. Stonemasons came behind and reinstalled the capping stone at the top of the tower, so the original look was maintained.